BP Aero’s dedicated mobile teams are able to dispatch within short notice to support airline and lessor maintenance requirements. Our teams have extensive experience performing various worksocpes anywhere in the world. Typical workscopes include HPC Top Case Repairs, Module/LRU Change, BSI, Boroblend, Engine Removals and more. 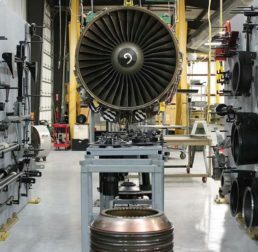 BP Aero is on manual revision service with various OEMs. We understand the importance of being able to react quickly, maintain flexibility, prevent workscope creep and always deliver quality service that ensures flight safety.